Hope, Faith, and Prayer – Prayer changes lives. I was reading Genesis Chapter 19, and I came across the following verse. I’ve read this verse before. Yet, it never spoke to me like it did this time around. A little backdrop to what is happening. God is going to destroy Sodom where Lot and his family live. Abraham had previously pleaded with God not to destroy the cities of Sodom and Gomorrah. Well, the cities of Sodom and Gomorrah were destroyed, so we can deduct that God did not find ten good people in the city. But Lot was dragging his feet. And this is what is so powerful to me. Sometimes I worry that I’ll get it wrong. I won’t leave when God tells me to leave or I won’t stay when God says stay. I’m analytical so I have to weigh the pros and cons to everything before I make a move. But sometimes what looks like a con in the natural world is a pro in the spiritual world. I’m afraid I’ll miscalculate, overthink, or take the wrong next steps. I’m afraid I’ll drag my feet. I often wonder if I already missed the mark somewhere. Especially as I wonder if marriage and motherhood is for me. Did I miss my husband somewhere? Did I turn him down when he asked me out? But this verse gives me hope. Lot dragged his feet, but the two angels that God sent to Sodom grabbed Lot’s arm (and his wife and daughters’ arms) and dragged them to safety. God was so merciful to them! So even when we get it wrong, God makes sure we get right. Even when we hesitate God will drag us (and our loved ones) to safety. That’s so encouraging to know. We often hear the story of how Lot’s wife looked back and turned into a pillar of salt. We get scared. One little mistake and it could be over for us. I don’t know why Lot’s wife turned into a pillar of salt. But I know that God is merciful. He knows we’re human. He knows we’ll drag our feet sometimes. And even in all of our limitations, He knows how to get us to where He wants us to be. My sister was in a car accident several weeks ago. I kept receiving calls from a number I didn’t recognize. I didn’t answer. I figured they’d leave a message. But they didn’t. Finally I decided to call back just in case it was something important. And it was. I rushed to the scene to see her car still sitting there. Banged and bruised on all sides. Every inch of that car had some dent or crack. The one thing not dented, cracked, banged or bruised? My sister.You’d think I would have went home with a big smile on my face singing Hallelujah! I was and am very thankful my sister is still here. Everyone who experiences a car accident doesn’t walk away. She did. That’s a blessing from God. Yet, I went home that night and balled my eyes out. It was an ugly cry. Why? Because I love my sister. I want the best for her. I don’t want her flipping over upside down in tons of metal that could kill her! I hate that she had that experience. I hate that I wasn’t there. I’m supposed to protect her and save her. Yet, sometimes I can’t. Sometimes I won’t. And that too is a blessing. There is Someone who loves her even more than I do. There is Someone who can protect her far greater than I ever could. It’s egotistical and a sign of little faith to believe that my sister’s fate is somehow in my hands. I don’t have her in the palm of my hand. As much as I want the best for her I can’t give her the best. Or any of my loved ones. God has her in the palm of His hands. And that’s a far better place for her to be. I called out to Jesus to help me, and He DID! I was in a pretty serious car accident. You can look at the picture and tell. Short version: A street light was not working properly. After waiting for some time, I made the decision to proceed through the light. Although I was yielding to oncoming traffic, another driver who I suspect was not paying attention and driving at an incredibly high rate of speed hit me. He didn’t just hit me…he hit me HARD! Now when I decided to proceed through the light, I never thought I would find myself in such a scary situation. I did see the car out of the corner of my eye, but because I was nearly clear of the intersection, I didn’t think he was going to hit me. He did, and from one second to the next, things changed. BAM!!!!!!! As soon as I felt it, I started screaming, pleading, ushering, “Jesus, help me! Jesus, help me!” Over and over, I called. When I was initially hit, the car went forward with the force of the hit (horizontal or side ways for me, if you can picture that). The next thing I knew, I was airborne. I thought, “Am I going to die?” As soon as the thought entered my mind, though, it was gone. As my car went in the air and began to turn, I didn’t feel scared. I didn’t see my life flash before my eyes. I didn’t feel like death was near. My mother and sister crossed my mind during the same seconds that I pondered if I would die, but again they were fleeting thoughts. What I did feel was protected. It was like everything around me was flying and going everywhere but there was a bubble, a hedge, if you will, around me. And then the car landed. I unbuckled my seat belt and fell out of my seat because the car was upside down. Because I am extremely claustrophobic and it’s very disorienting to have to move around on the ceiling of a car, I did begin to panic just a bit. Although I was panicked, I still knew who to call. “Jesus, get me out of here!” People gathered at my car almost immediately. They were trying to pull me out of the driver’s side window but because it was obstructed, the car having had landed on this side, and the side curtain airbags were deployed, I couldn’t fit. “Everybody, back up! I’m a firefighter. M’am, can you get out from the passenger’s side?” I crawled over to the passenger’s side of the car and walked out! Shouting, screaming, “Thank You, Lord!! Thank You, God! !” People were amazed that I was walking and talking. 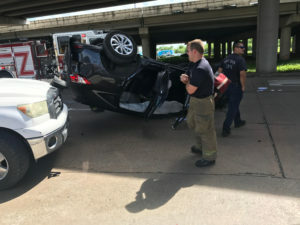 They couldn’t believe that I had just walked out of that upside down car. When I tell the story, I tell people that it looks a lot worse than my experience actually was. I. DID. NOT. FEEL. SCARED. I didn’t. I felt protected. I. WAS. NOT. HARMED. 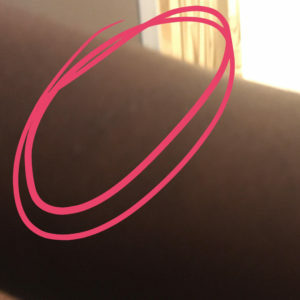 All I have to show (physically) for the accident is a small scratch on my arm, which I’m sure will fade over time although I wish it would stay forever.). GOD. HAD. IT. ALL. PLANNED. OUT. See Jeremiah 29:11; Isaiah 41:10-13; Deuteronomy 31:8; Hebrews 13:6. As I waited in the parking lot, I called my insurance company who promptly set me up with a rental. Enterprise was right next door to the accident scene. I. COULD. HAVE. WALKED. I didn’t because my mom and I just drove over from one parking lot to the next. I. DROVE. HOME. God has a uniquely special way of working everything out. I have some ideas on why this all happened. At first, I felt weird because the car looked like I should have been dead, but I didn’t feel like I should have been dead. I. DID. NOT. HAVE. A. NEAR. DEATH. EXPERIENCE. You know what it is, I feel like God gave me a story to share. It reveals just how well-planned He is. How gracious He is. How merciful the Lord is. Remember, technically speaking, it was no one’s fault but my own because had I not “ran” the light, I would not have been hit. If I would have stayed behind the red light (even if it took another 30 minutes to change), I would have not gotten hit. UPDATE: I got a new car. Same monthly payments. No down payment. JUST. WHAT. MY. MOM. HAD. PRAYED. FOR. I don’t know how else any of these things could have lined up so perfectly. It’s not karma (I’m not that good of a person.). It’s not a coincidence (The causal connection is apparent. I should have been killed.). It’s ALL God from the accident to the Enterprise location to virtually no impact on my financial situation. I thank God for not only sparring my life, but for sparring my family from the grief they would have experienced had I perished. Remember, I’m graduating grad school on May 13th. Many of my family members will be travelling to celebrate with me. Can you fathom the devastation everyone would have felt to have to turn party decorations into funeral plans?! I’m so utterly thankful that the Lord sparred my family. I told God that “thank you” is not a big enough word. It’s inadequate. There’s not an adequate expression of my thankfulness to our Lord and Savior. But I can live right. I can let everyone know that I’m not here by any cause or fault of my own. AND. I. WILL. Author Marlene DiorPosted on April 27, 2017 April 27, 2017 Leave a comment on I called out to Jesus to help me, and He DID! I feel discouraged. I’m a Christian. I go to church. I pray. I tithe. Yet sometimes my spirit is low. Yes, sometimes I’m discouraged. I don’t know what I’m doing. I don’t know what I have to look forward to. I don’t know what’s possible for me or my future. Sometimes I can’t see my future. My vision is blurry. God is blurry. Way to mislead a girl. I was SO looking forward to that trip. It was something to look forward to. This year I decided to be more purposeful about finding a husband. I know the bible says, “He who finds a good wife findeth a good thing,” but I figured all the Christian men in Houston are lost. Maybe I should do the finding. So, I joined 3 different dating sites and it’s been interesting to say the least. I wonder if I’ll ever get married and have a family. Whenever I ask Christian friends and mentors they always something to the effect that if God put it in your heart He will provide it. Yet, some days I just don’t know. And today is one of those days. My job was phased out at work. Luckily, I was offered a position on another team. However, I’m bored. I know I should be thankful to have a job, but I’d still like to enjoy it. Did I mention I’m discouraged? I don’t have an answer to it. I just know in this walk there will be discouraging times. It doesn’t matter who you are. Just because I sit behind a computer and blog about Christianity doesn’t mean I’m always in the highest of spirits or filled with faith. Pray. We can always go to God in prayer. We can be honest about our feelings, our doubts, and our disappointments. Do. We can do what’s within our control to do. I may not be able to go to Colombia with my church, but it doesn’t mean I can’t go. My church partners with Conviventia. So I reached out to them directly. We’ll see where that takes me. Wait. We can wait it out. Whenever I start a new job there’s always a period of boredom. You’re waiting on things to pick and tasks to be assigned to you. Trust. We can trust God for all of our needs and desires. We can trust that He won’t withhold any good thing from us. We can trust He knows what’s best. This one is especially hard for me, because having trust leads to having hope. I hate getting my hopes up. See mission trip experience above. I just wanted to share with you that if you’re feeling discouraged you’re not alone. We’re thinking of you and praying for you. 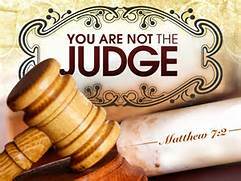 This past month I was assigned a seminar message to a group of prisoner on “Judging Others.” As I read through the material in preparation for the class, I was convicted on judging others myself. God has a special way of getting our attention. In judging others, I don’t necessary get in someone’s face and call them out. However, I do contemplate on their behavior, actions and even looks. Yes, I judge people. There’s no other way to put it. As I was studying this lesson, there were several questions asked but there was one main point. By whose standards am I judging others? Am I judging others by God’s standards or my own standards? If I am using my own standards, what right do I have to judge another? My standards are based on my own beliefs and what I have learned and experienced over my life’s journey. These beliefs and ideas many not be true for another person because they too have developed their own beliefs. I believe our beliefs are our driving force. It’s what drives us to action. 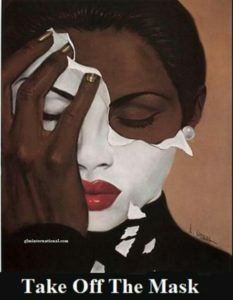 Just like our outer appearance is different so is our inner makeup. This realization hit me like a ton of bricks. Romans 2:1 told me I had no excuse for judging others. When I judge another person I am only condemning myself. Whatever I am judging another person for I do the same things. God will judge me for my judgmental behavior. God sent further confirmation that He was speaking to me on judging others by way of some family members. I don’t believe they knew God was using them to speak to me…again God is so perfect. What I’ve taken away from the seminar is when we judge others we also condemn them, then reject them and eventually send them into a living death. This cycle continues until we decide to do something different and that is to see them as Jesus sees them. Jesus came to save us and not to judge us. Jesus loves us and if we choose love there is no room to judge or condemn. I love me some gospel music. Music does something to the soul. When I feel tired, weary, discouraged, a good gospel jam session always lifts my spirits. Here are some of my favorites! Enjoy! “When oceans rise my soul will rest in your embrace for I am Yours and You are mine.” Isn’t it great to know that you are His? No matter what! When God calls us to the ocean is not that we might drown. It’s so that we can see His mystery. He calls us to walk on water. He has never failed us and He won’t start now. “Give me faith to see the incredible.” Why are we here on earth? Do you ever wonder? Why couldn’t we just stay in heaven? Especially if God has already called us by name. He knew before the earth was created who would spend eternity with Him so why bother? I don’t know the answer, but I do believe God wants to show us something incredible. “Lay me at the throne. Leave me there alone.” Have you ever felt you couldn’t face what’s left to do? You have no more fight it you. No more tears to cry. It’s okay to be at this place. We can take the broken pieces of our heart to God, and He will give us beauty for ashes. “God is fighting for us. Pushing back the darkness….. Carrying our burdens. 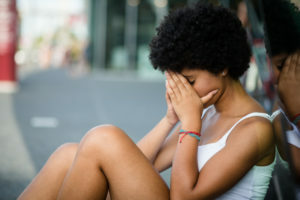 Covering our shame.” There are so many times God is fighting for us and we don’t even know. We have to remind ourselves that God is on our side and only wants good for you. “My God is awesome. He can move mountains. Heals me when I’m broken. 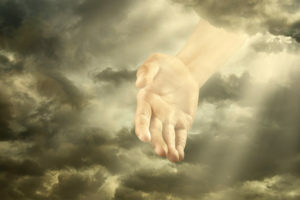 Gives strength where I’ve been weakened.” God is a Deliverer, Protector, Provider. God is everything we need. Sometimes it is easy to get discouraged or restless when things aren’t going our way. Sometimes God keeps us in the valley to hide us from the rain. He knows what we need when we need. He’s awesome. “There’s power in the name of Jesus to break every chain!” I like to believe I’m (we’re) apart of the army rising up! Sometimes the struggles, setbacks, diversions, closed doors, and disappointments are because our purpose is greater than us. Sometimes our ambitions and goals and the times we’re called to walk on water aren’t even about us. We think they are, but they’re not. Sometimes we’re called to be the army that breaks the chains of someone else that they might be saved. 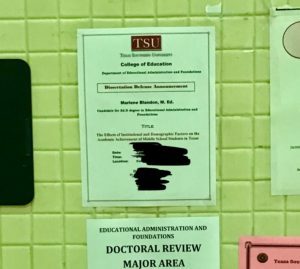 I walked in to Texas Southern University on Saturday to meet with my professor, and I saw this hanging (my dissertation defense announcement). I literally had to stop myself from crying. Even though I have been in school for as long as I can remember, there’s something still unbelievable about finally being finish. Like I did it. I took the classes. I passed the comps (Which is a whole nother blessing in and of itself….I know it was nobody but the Lord who made a provision for me to pass Statistics the first time (*insert shout*)!!). I wrote my dissertation. I am just so very thankful that our Lord has allowed me the time and space to engage in and complete this work. So many people I started with, for whatever reasons, did not finish, but the Lord saw fit that I did. I will defend my work on the 28th. The defense will mark the final major activity towards the completion of my degree. My mom and sister will be there by my side. (We may even go live to share the results! *wink *wink!) I’m so proud of what I have been able to accomplish. I’m so thankful for my family who has been supportive all of the way. I’m thankful to my mom who sacrificed so much so when we were younger that we may be capable of achieving such goals today. I’m thankful to my twin sister who inspires me every. single. day. Most of all I’m thankful to God for knowing the plans He has for me. A week or two later I noticed, I had a contact that I didn’t recognize. I really didn’t give much thought because people change their names all the time. However, one day this person posted an article that I thought was interesting. After reading the article, I went down the timeline. I immediately noticed a picture of the co-worker who had told me that she was taking a break from Facebook. She did take a break, a break from using her name instead using an unrecognizable name that she made up. Now, I don’t know why she changed her Facebook name, but it made me think about why we as a people (particularly people of our God who is all, sees all, and knows all. God will help us to rid ourselves of the distractors and feelings that make us feel the need to don these masks.) sometimes feel the need to wear masks. Many times we put on a mask to hide from others. I believe, however, that we are actually hiding from ourselves. We may wear a mask for various reasons. One such reason is that we’ve been hurt. We don’t realize that we have on this mask; it’s our comfort blanket. We keep the world at an arm’s length distance as to say: stay out of my world and don’t come near me. Psalm 139:14 tells us to praise God because He made us in a wonderful way. I know how amazing that was! (ERV). Other translations say we are fearfully and wonderfully made. If we truly believe God’s word then we have no need to wear a mask. God said He made us is in such a wonderful way. The Greek word for wonderful is thaumastós , which means marvelous, describing an awe-evoking sight (dramatic sense of wonder), moving the beholder to their deepest emotions. He also said we are made in His image, His son’s image, and the Holy Spirit’s image. How awesome is that?! We are wonderful people created by a holy and righteous God who loves and adores us. Leave the hurts, disappointments, failures, failed relationships where they belong: in the past. Ditch the mask and allow the world so see the person God created you to be. Hold on to what God’s says about us. God took time out to create us in a marvelous, dramatic way with a sense of wonder. We are an awe evoking sight to look at. I’m a self-professed worry-wart. I worry about anything and everything. Maybe it’s the Virgo in me. Last Friday, my sister sent me a message that our tenant told her she had termites. I went into worry-mode. Termites are serious business. They can literally eat you out of a house and home. It can cost thousands of dollars to repair the damage done. So, I’m a little panicky. How much is this going to cost? Where’s the money coming from? What if the walls cave in? What if the ceiling collapses? I couldn’t concentrate for the rest of the day at work. I told you I was worry-wart. So I worried and googled and worried and googled some more. Saturday morning around 9 o’clock I decided to go get some coffee. I open the house door that leads into the garage. “Oh my goodness!” I left the garage open ALL NIGHT. From 6 pm Friday night until Saturday morning my garage was completely open. To make matters worse the house door was unlocked. Someone could have come in and harmed me. Someone could have stole everything out of the garage. Yet, I slept like a baby. Why? Because I had no idea that I should be worried. If I would have known the garage was opened and the house was unlocked, I would have freaked out. Let’s pretend I couldn’t close it or lock the door for some reason. I would have tossed and turned all night. I might have even slept with a knife in my hand. God protects us over a multitude of things we aren’t even aware of. I imagine there are dozens of things I could be worried about if only I knew, but God is a good God. He protects us from dangers seen and unseen. I didn’t have to worry over my protection and plead with God to keep me safe that night. God gave me what I needed when I didn’t even know what I needed myself. If God’s protection and provision sustains us when we have no idea of the trouble we face, does He not also give wisdom and guidance to see us through the troubles we know? 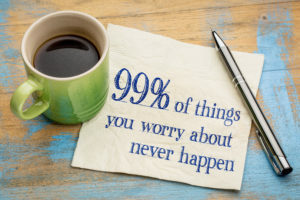 Worrying doesn’t move God into action. Sometimes it’s not even prayer that leads God into action. It’s His goodness and mercy. When we know who God is and that He cares for us we don’t have to worry. I love 2 Timothy 1:7. Fear and worry do not come from God. God gives us power, love, and sound mind. With a sound mind we can make the right decisions. God doesn’t want us to be afraid, but the devil does. When we resist fear and worry we are resisting the devil and leaning on God’s promises. When you feel overwhelmed with fear and worry, I pray that you’d remember where fear comes from and run to God. I pray this over myself as well. 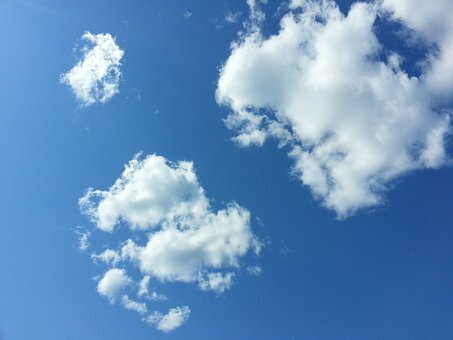 -Just as the sky is without limit, so is my God. A few weeks ago, I told you about how I had always wished I could sing, and the Lord directed me to the choir. I know it was nobody but God because I can tell you with 99.9% certainty that I would NOT have joined without the urging of others. I have been kind of slack (well, not slack…I have been totally absent) about mid-week bible study. I have not been attending. I have used the excuse of school or that Tuesday (my chi-weenie) was too young to stay home by herself so long after I have been at work all day. All excuses. So at the start of this year, I said that I was going to start going to mid-week bible study. After the holiday hiatus, bible study at my church started back last week (1/4). This is what is so amazing about God, how He works, how He puts you in the right place at the right time, how He aligns everything just perfectly. Why am I at this church? Why did I keep coming back after first visiting over two years ago? First the choir…now this…. At the start of bible study, the young adult minister paired us up to pray with each other. We were tasked with asking the person what they needed prayer for and then praying for and with that person. All undue pressure because, it hit me like a ton of bricks when she said it, “We have a way of putting limits on God.” God gave Abraham Isaac after 25 years. Abraham was 100 years old and Sarah 90. Now, I realize that if I am 90 without any children, I probably will not have any, but the point here is that, God was able to do what they had already labeled as impossible. Kind of what I was doing. I had a million reasons why I was feeling desperate about the passing time instead of looking to the one reason to calm down. The Lord knew the desire to be married and have a family of my own even before I had knowledge of this desire. The Sunday after the bible study (1/8), our pastor said, “Many of us trust God with of souls but not with our lives.” I realized again, that this is exactly how I have been living. After these two encounters with God and the message He has for me, I really do feel like a weight has been lifted because its not for me to try to do on my own. I just have to delight myself in the Lord, continue to pray and grow in Him, and HE will take care of the rest. There are NO limits to what God is able to do!!! And I can just shout right there!! Thank You, Jesus!!! !